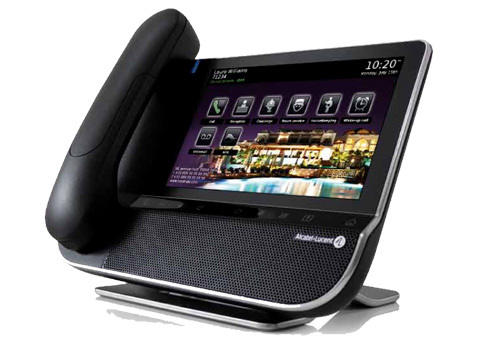 Basic SIP telephony: Make call, receive call, hold and retrieve and call log. Check in and check out: Guest name, number, language, forward status, Do Not Disturb (DND), voice mail. Customizable home page: Background and accessible services. Easy access to hotel services: Reception, room service, concierge, restaurants, entertainments. Call forward and do not disturb. Suite management: Forward, DND, wake-up. Language support: 29 languages available. Haptic seven-inch sensitive touch screen. Customization interface for IT departments.